The S-1 was Czech Firm Skoda’s Tankette designed for the indigenousness and export market. First vehicles were seen in 1936. It had a 2 man crew, driver and gunner who operated the two forward facing Machine Guns. 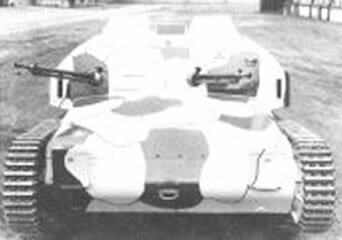 The S-1 wasn’t a very successful vehicle, however its improved version the S-1d was. It had a raised superstructure with a 37mm main gun and an MG. First seen in 1938, the vehicle was exported to Romania and Yugoslavia under the designation T-32.